Circa 1938-1944. 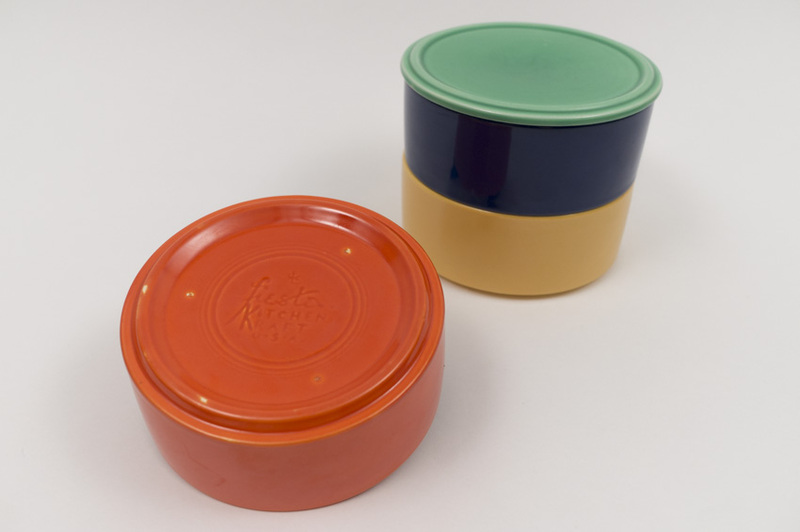 The Fiesta Kitchen Kraft stacking refrigerator set was chosen for inclusion in the 40s promotional campaign. 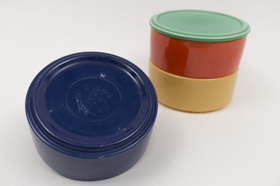 The Refrigerator Set was the final item offered in the campaign. 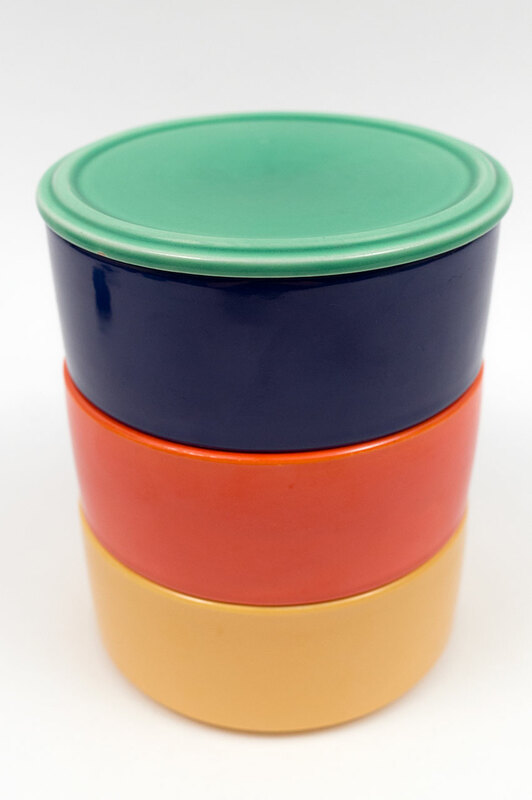 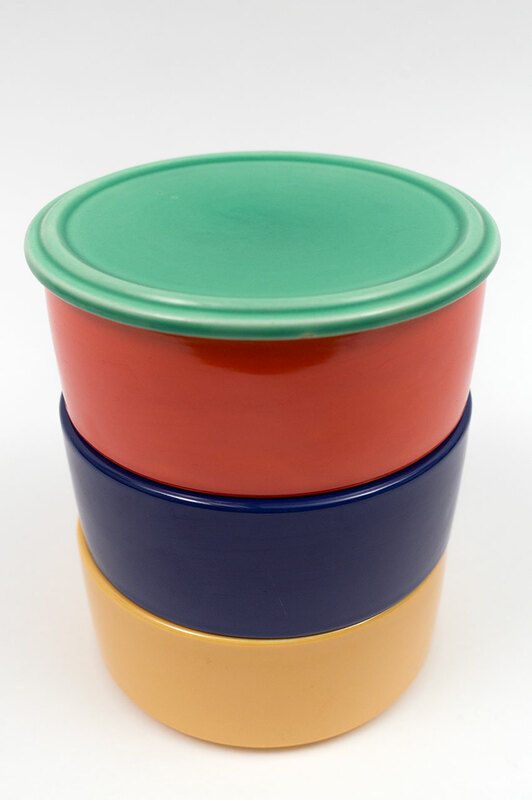 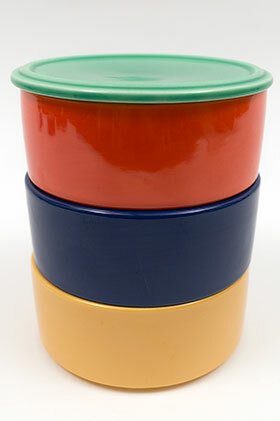 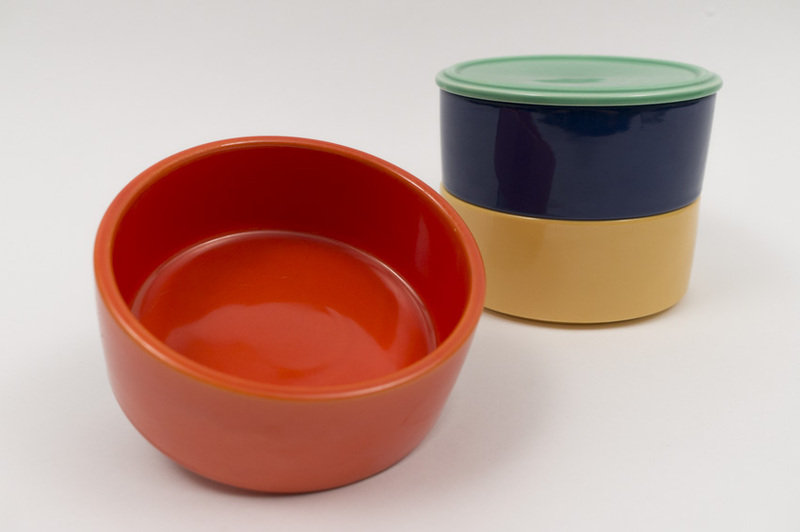 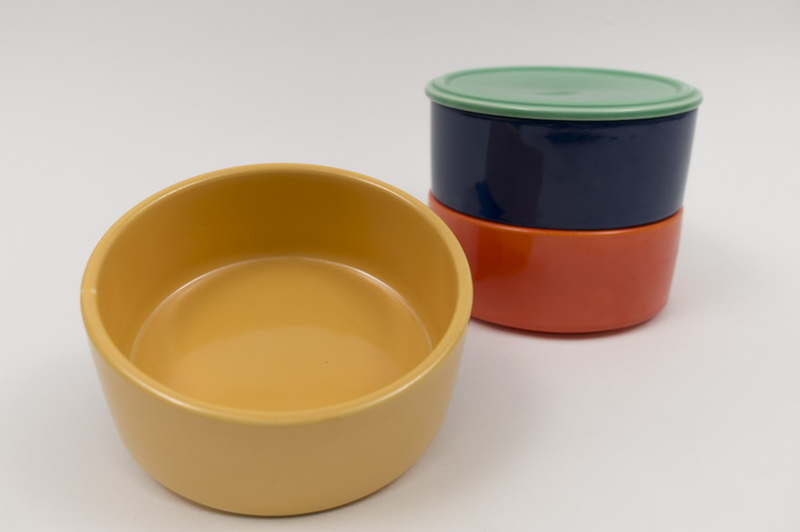 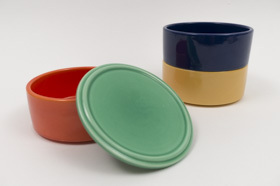 This example includes a green lid with red, yellow and coblat stacking units. 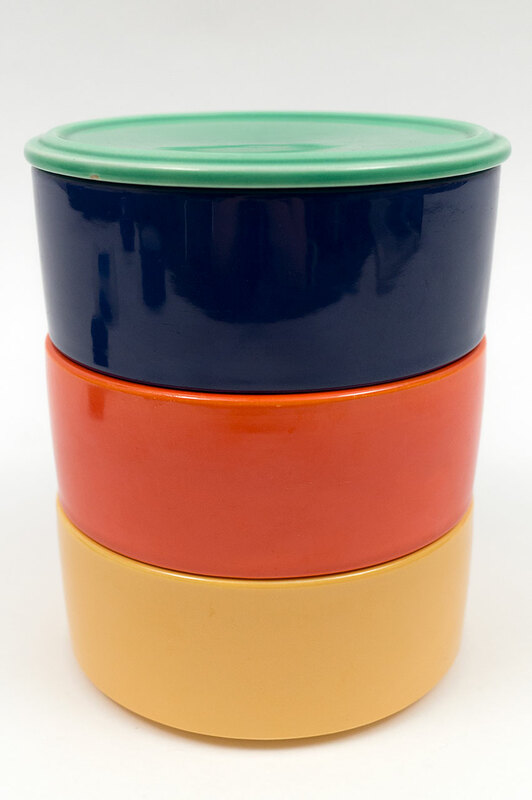 Modified from unproduced designs for the Jewel Tea company, the stacking units are wonderfully thick walled, straight sides and fully glazed bottoms- all pieces of the set included hand working on the jiggering machines. 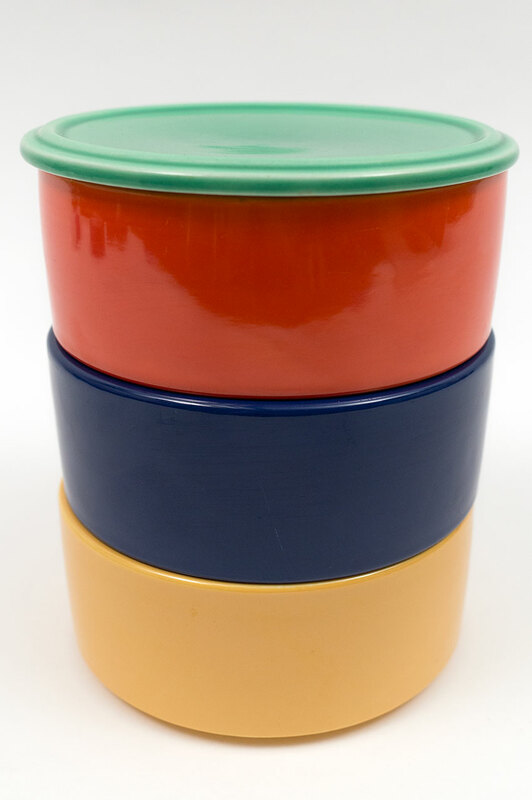 All pieces in this set are in wonderful condition with no damage, no use or signs of wear. 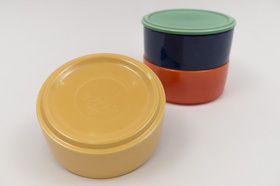 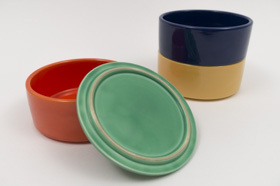 The green lid is delightfully scratch free and all the units have great shine, bold glazes and wonderful surfaces. Please note a minor glaze skip on the underside edge of the green lid, minor and nothing in comparison with the stellar condition of this complete ensemble.